Though all the earth be wrapped in white. In crossing there at dead of night. 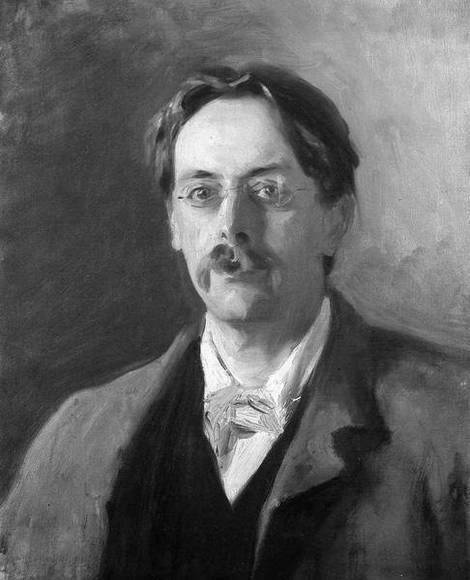 Born and raised in London, Sir Edmund William Gosse (1849 - 1928) was a poet, biographer, and critic of both art and literature. A librarian and translator by trade, Sir Edmund’s research and writing eventually led him to lecture at Cambridge, and he is credited with introducing the plays of Henrik Ibsen to the British populace. A close friend of Robert Louis Stevenson, he was a significant influence on poet Siegfried Sassoon, whose uncle was also one of Edmund’s good friends and whose mother was a close friend of Edmund’s wife. During the course of his career, Sir Edmund wrote eight books of poetry, and more than a dozen others. Scary. Sounds a bit like Poe.